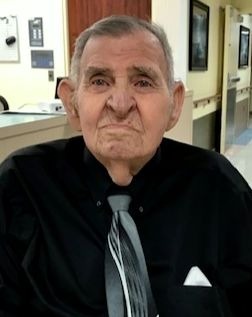 Ewell Wayne McGuire, 81, of Scottsville, KY passed away Monday, January 21, 2019 at Cal Turner Rehab & Specialty Care. The Scottsville, KY native was a retired employee of United States Postal Service in both Scottsville and Bowling Green, former employee of TVA, a member of Scottsville Church of Christ and a former member of National Guard 623rd Glasgow unit. He was a son of the late Luther Franklin McGuire and Minnie Dora Staples McGuire and husband of the late Martha Jean "Jeanie" Smith McGuire. An adopted son: Allen White and wife, Abby, Scottsville, KY.
Preceded in death by an infant son: Timothy Ewell McGuire; a grandson: James Ewell McGuire; 2 sisters: Alane McGuire Wagoner and Elizabeth Frances McGuire Freano; 2 brothers: William "Bill" McGuire and Joseph McGuire. Funeral services will be 1:00 P.M. Wednesday, January 23, 2019 at Goad Funeral Home with burial in Crescent Hill Cemetery with military honors by Glasgow D.A.V. Chapter 20. Visitation will be 5:00 P.M. to 8:00 P.M. Tuesday and after 7:00 A.M. Wednesday until funeral time.